Since 1997, a mural of whales and dolphins has caught the eyes of many commuters traveling the east shoreway, just outside of downtown Cleveland. This life-sized work is one of a hundred that environmental artist Robert Wyland painted in cities around the world. 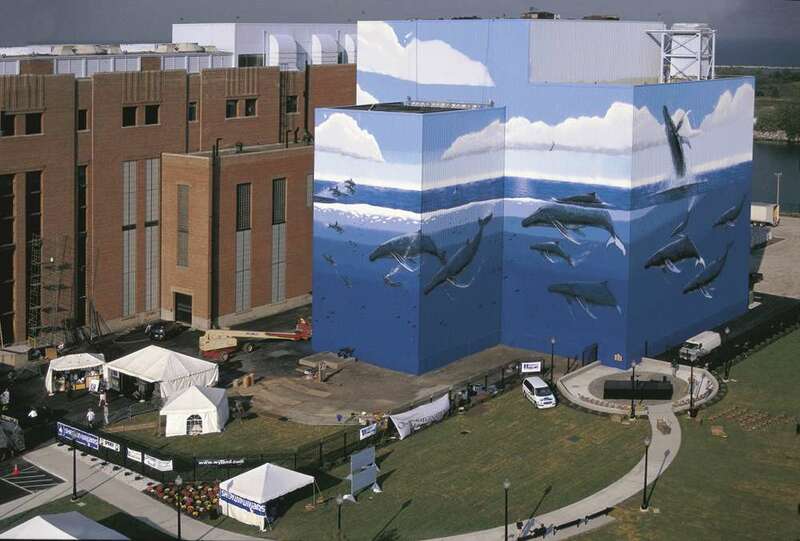 Professionally known by his last name, Wyland is back in Cleveland this week to announce plans for a facelift of the mural. The artist’s interest in painting monumental creatures came at an early age. Wyland cited ocean explorer and conservationist Jacques Cousteau as an early hero. He added that the infamous Cuyahoga River fire had a deep resonance for him, and the 50th anniversary is the occasion for fixing the mural. 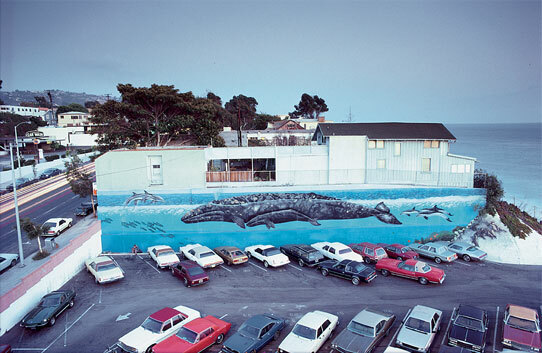 In 1981, Wyland painted the life-sized image of a grey whale and its calf on the side of a building in Laguna Beach, California. 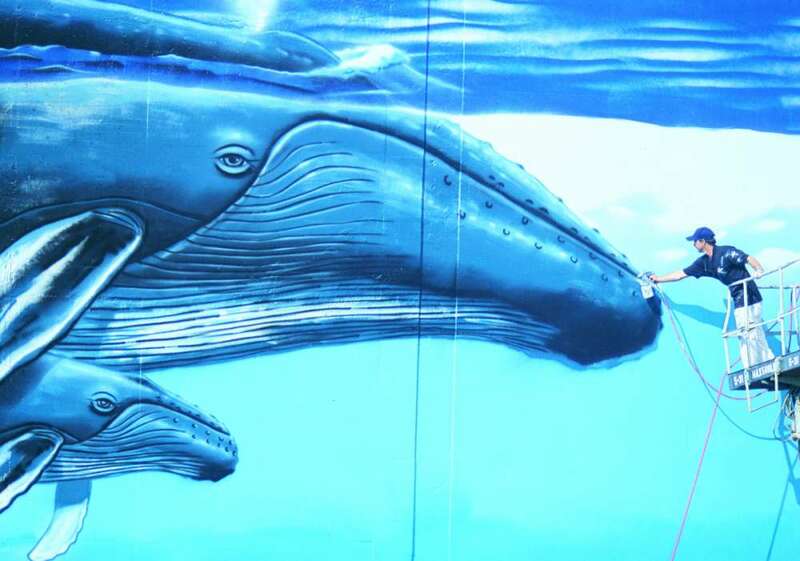 It began a nearly 30-year quest to paint 100 whale walls around the globe. He likes going back to touch-up his whale walls, and, after three decades, he’s getting a lot of requests. Cleveland was the 75th mural in the series. You might think that Wyland would have had the process down to a science by that point, but the Cleveland Public Power site came with its own set of challenges. Wyland did all of the original mural painting himself, and said he never came to any of these monumental paintings with a sketch or plan. The images come from sights he’s seen while deep-sea diving, and he recalled getting strange looks from spectators when he was here 22 years ago. “People were saying, ‘Why would you paint a whale in Cleveland?’ Well, really, we have one ocean and we have one water planet, and what we do in one place impacts the next. Everybody lives upstream from somebody else,” he said. Wyland started a foundation in 1993 to help coordinate a number of conservation programs he’s involved with. 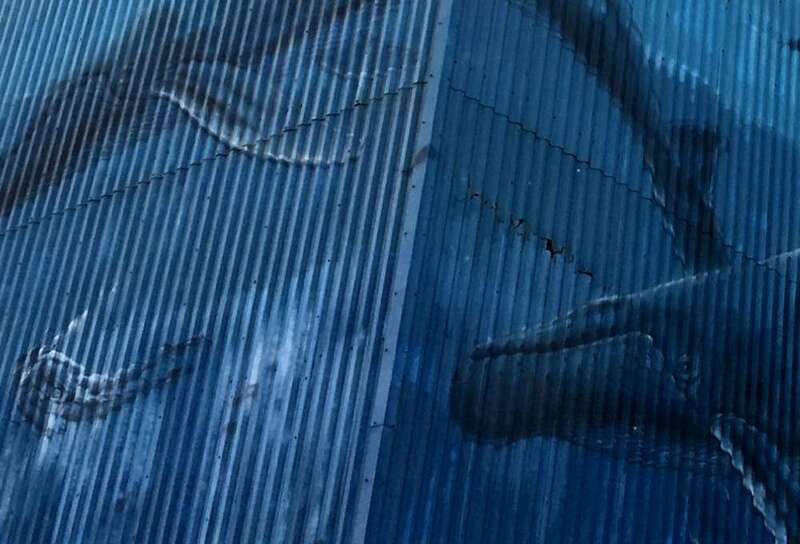 Wyland Foundation president Steve Creech said the city won't pay anything for the retouching work on the Cleveland mural, which will cost an estimated $30,000. The foundation is looking for in-kind support for paint, boom lifts and other equipment. Wyland is donating his labor for the project. Each one of the 100 murals is duly documented on the foundation website, but he’s involved with a number of other creative endeavors. The artist also maintains a personal site that markets an assortment of paintings, sculptures, and jewelry, plus ball caps and hoodies. Some of Wyland’s critics argue that he’s more interested in merchandising than pure art. “I handed off all that swag to the Wyland Foundation,” he said. “100% of that goes to support our programs. You know, when you’re an artist, you have to do what you’re going to do to make a living and be successful, so that you can work on projects that are important to you. I just wanted people to make the connection about how the lakes are critical to the health of the planet and the ocean.